Russian Foreign Minister Sergey Lavrov blamed the ongoing violence in Syria on “some states,” which encourage Syrian rebel terrorism and their refusal to negotiate. 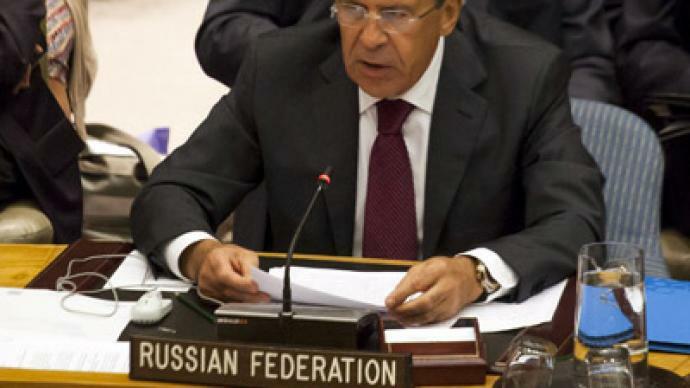 Lavrov made his remarks during a UN Security Council session. ­In a high-level meeting of the Security Council on Middle East security, two world powers – Russia and the United States – clashed over interpretations of the ongoing violence in Syria, and how to end the bloodshed. "The states that encourage the opponents of Syrian President Bashar al-Assad to give up on the ceasefire and dialogue and to demand that the regime capitulate, bear responsibility for the continuing bloodshed," Lavrov said. "Such an approach is unrealistic and encourages terrorism, which is used by the opposition." Lavrov reiterated Russia’s longstanding position that “stable settlement of the crisis can only be achieved through negotiation and compromise, taking into account the interests of all the faiths and ethnic groups of Syrian society." The Russian FM argued that the groundwork for a peaceful resolution should follow the Kofi Annan peace plan and the Geneva communique, and related Security Council resolutions. 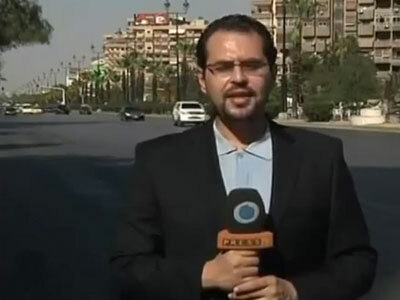 "We see that the initiative put forth by Egyptian President Mohamed Morsi has potential,” he said. 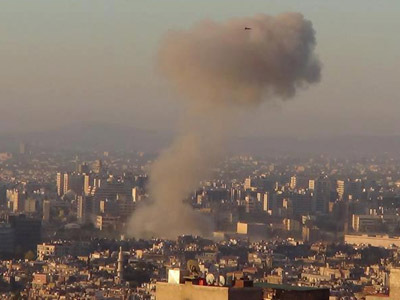 In August, during a summit of the Organization of Islamic Cooperation in Mecca, Morsi called for the creation of "a quartet" to resolve the Syrian crisis. The group would include Egypt, Turkey, Saudi Arabia and Iran, the latter two being understood to have strong influence in the region. “The atrocities mount while the Security Council remains paralyzed, and I would urge that we try once again to find a path forward,” US Secretary of State Hillary Clinton told the Council, referring to Russia and China’s previous vetoes of Western-backed resolutions. Clinton was not present for Lavrov's remarks to the Security Council, citing a previous engagement. As permanent members of the Security Council, Russia and China blocked three resolutions that would have imposed further sanctions on the Syrian government. Both countries argued that the only way to solve the crisis is through negotiations. Other states of the 15-member council also called for action. “As the international community, we must be united to stop the violence and help initiate a process of political transition. We must find a common response. We owe it to the people,” German Foreign Minister Guido Westerwelle said. UN General Secretary Ban Ki-moon said that “there is no military solution to this crisis” in Syria, and urged a political solution. Another topic that dominated the Security Council's discussion was the Islamophobic, US-made amateurm film that sparked massive protests across the Muslim world. Arab League representative Nabil Elaraby demanded that the Security Council criminalize acts that insult or cause offense to religions, arguing that unless blasphemy laws are enacted and enforced, similar violence could once again erupt. "If the international community has criminalized bodily harm, it must just as well criminalize psychological and spiritual harm," Elaraby said. The League of Arab States "calls for the development of an international legal framework which is binding … in order to confront insulting religions and ensure that religious faith and its symbols are respected." 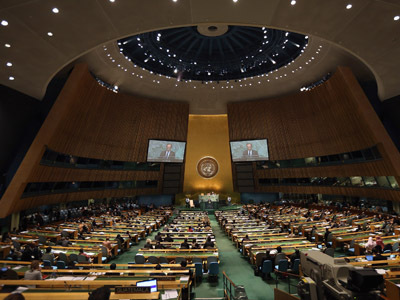 The UN GA debate tackles … What? !